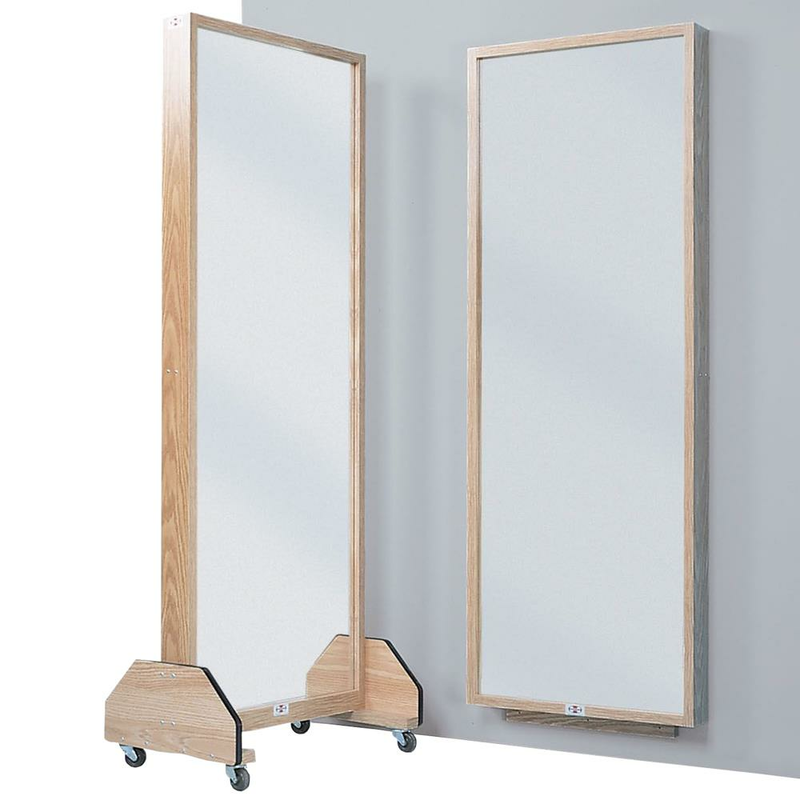 Hausmann Glass Mirrors are used for educational and therapy programs where a reflective glass surface is preferred. Heavy plate glass with electroplated copper produces bright, distortion-free images. Their oak laminate frame provides an attractive appearance. 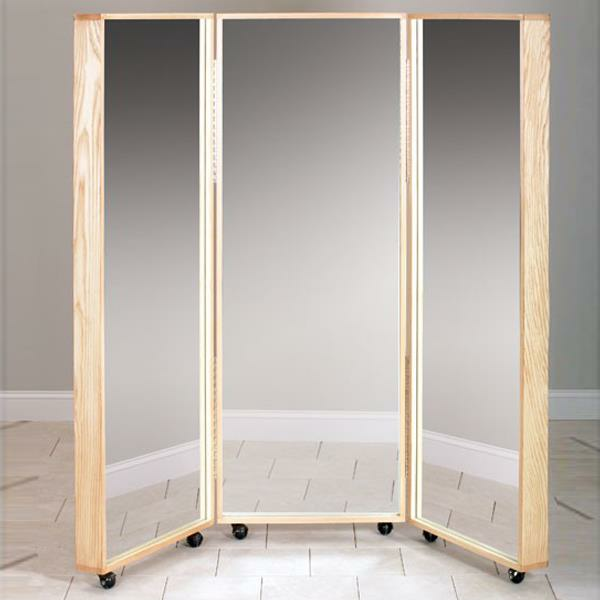 All mirrors include ANSI Shatter Stop safety backing. Wall mounted mirror can be mounted 6" above floor so that overall height is 72"